II. 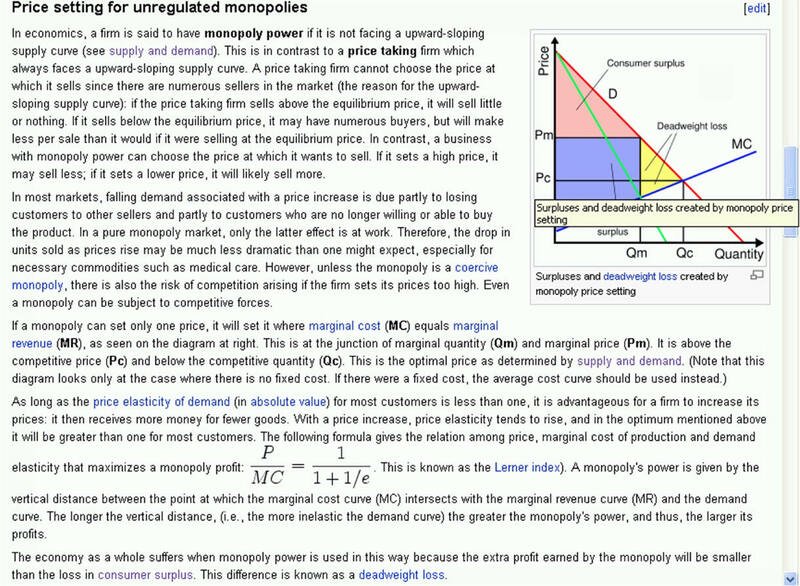 Most Monopolies Make a Profit . B. Political Economy Controversies has an interesting economics section. C. A monopoly exists when one firm has continued control over a unique market. 2. Ownership of raw material, strategically located land, etc. 5. Natural barriers to entry lead to natural monopolies. a. Economies of scale can be so large that more than one producer is illogical. b. Natural monopolies reduce duplication, waste, and confusion. c. Natural monopolies are often privately owned and publicly regulated. e. 1980's and 1990's deregulation decreased the importance of natural monopolies. II. Most Monopolies Make a Profit. A. ATC includes normal return on investment. B. MC cuts ATC at lowest point. indicated by the intersection of MC and MR.
rent which should not exist in pure capitalism. and more restricted (smaller) quantity. III. Some Monopolies Make No Profit. in a monopoly not making a profit. is always below the ATC and a loss results. 2. Production is at the lowest point on ATC curve. 3. Quantity produced is restricted. C. A monopoly is a price maker. 1. There are many inefficiencies. wasteful as nothing forces efficiency. b. Advertising just to enhance barriers to entry. that of pure competition. IV. 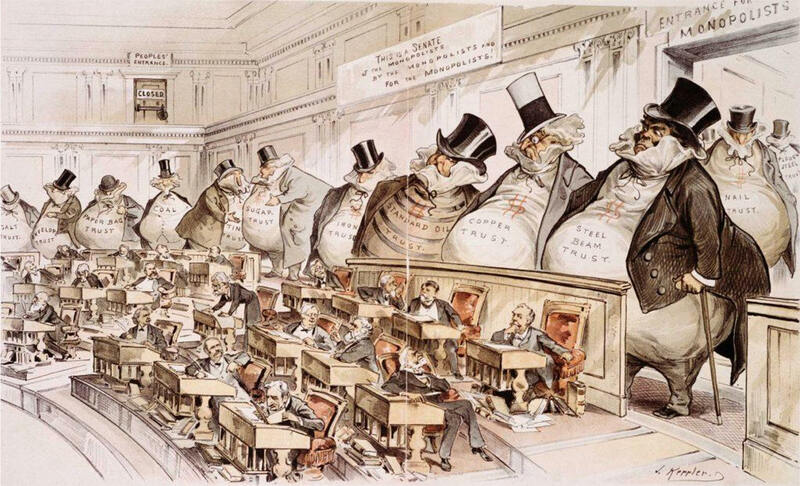 Some Monopolies are Regulated. A. If demand is inelastic, profit may be excessive. ownership, and limiting profit by restricting price to ATC. D. M is the where monopoly maximizes profits. E. Regulated price R yields a normal return. F. E is the economically optimum price. ever-increasing R & D expenditures. 1. When Monopoly Wasn't A Game. 3.Big 2002 recording stars exhibit monopoly power.